For the 4th consecutive year, O’Donnell Law Offices in Kingston, PA made a decision to forgo exchanging gifts with each other and instead donated to the McGlynn Learning Center for the 2010 holiday season. As a valued supporter, O’Donnell Law provided The Center with 16 pairs of new sneakers for the children of The Center. The McGlynn Center is a family enrichment center located in Wilkes-Barre, PA. The Center is operated by the Sisters of Mercy and provides educational, recreational and social outreach programs and services for hundreds of children and families. 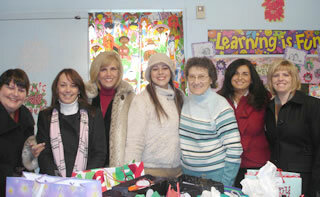 Visit www.McGlynnCenter.com to learn more about The Center, its programs and volunteer opportunities.